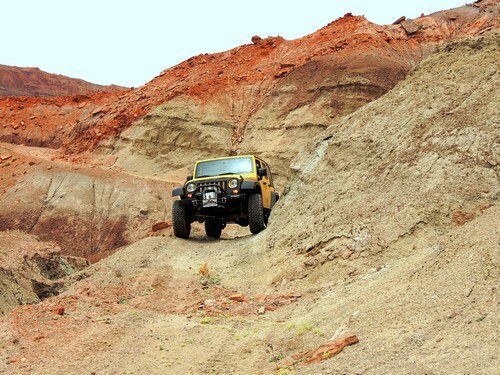 A challenging Jeep trail between Red Canyon and Highway 95. 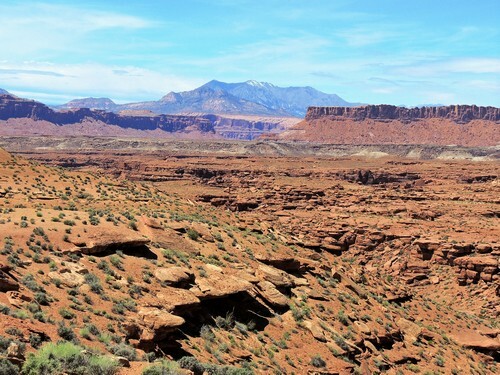 This run crosses the face of Chocolate Drop and traverses Piute Pass over Wingate Mesa. 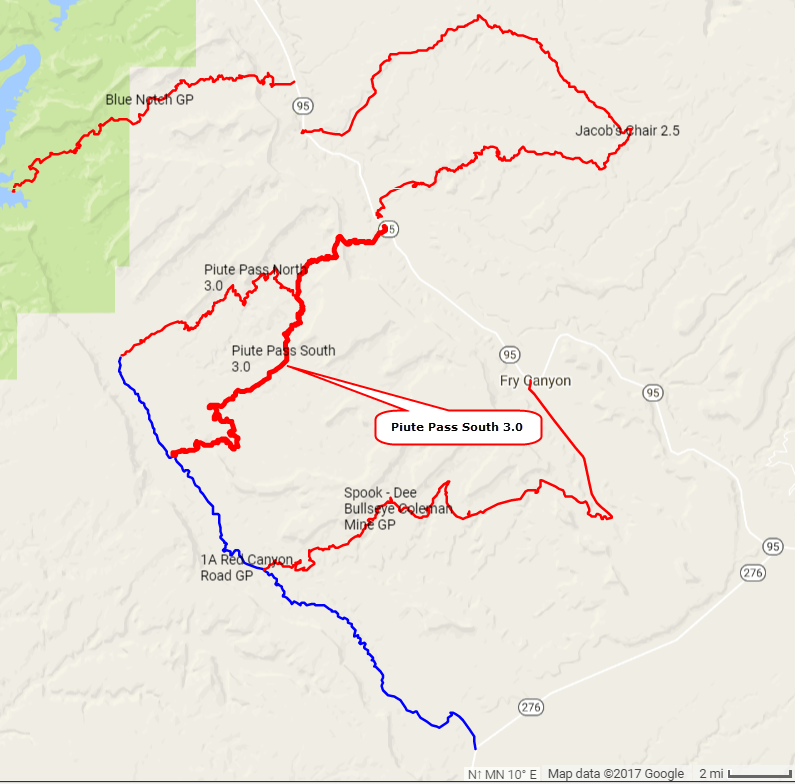 Most people appear to start on Highway 95 then go over Piute Pass and down the west side to an intersection. At this point they turn around and go back to Highway 95. 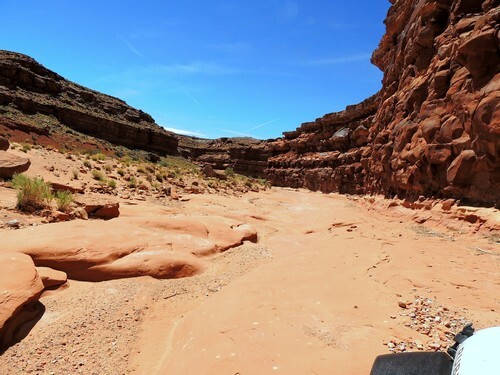 If they do not turn around they have a choice of either a north or south leg to a graded road in Red Canyon. This trail is the south leg. Neither leg that continues to Red Canyon shows much evidence of traffic. Very remote and sparsely traveled. Do not go alone. 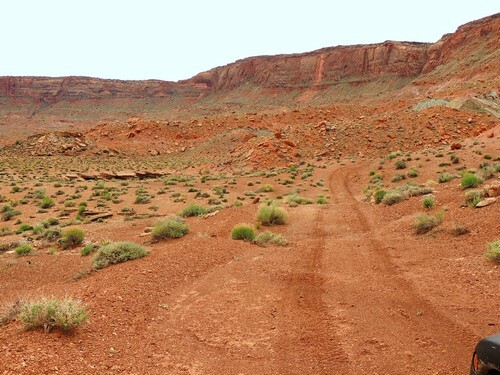 We chose to start on the Red Canyon end so will describe the trail in that direction. The trail starts out by running along the face of Chocolate Drop. 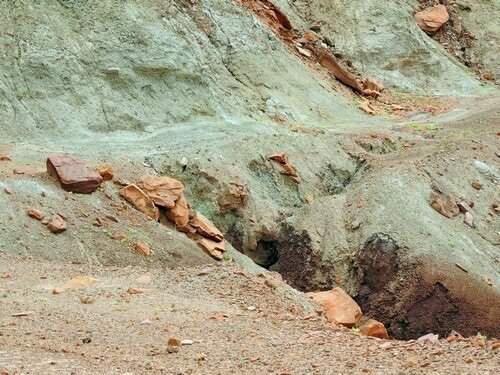 This is erosive soil and has gullies running across the road and narrow spots where the earth has slid into the road. 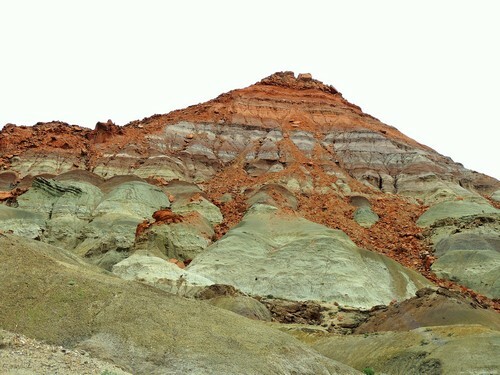 After traversing the face of Chocolate Drop the trail winds down the other side, still in the erosive soil. The holes under scrutiny are channels eroded through and under the original road. This looked iffy until we decided to simply stay above it without too much off camber. From Chocolate Drop to the intersection described above the trail alternates between being on somewhat higher ground and being in washes. Plenty of obstacles along the way, but still an enjoyable trail to drive. 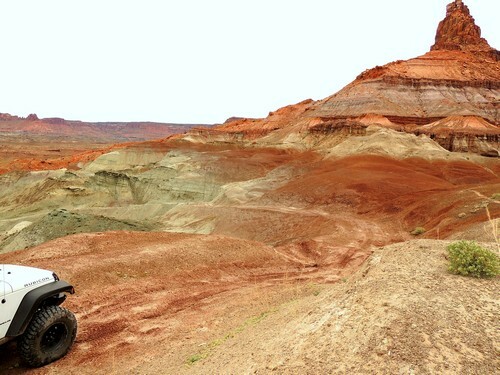 Great views when the trail is up out of the washes. 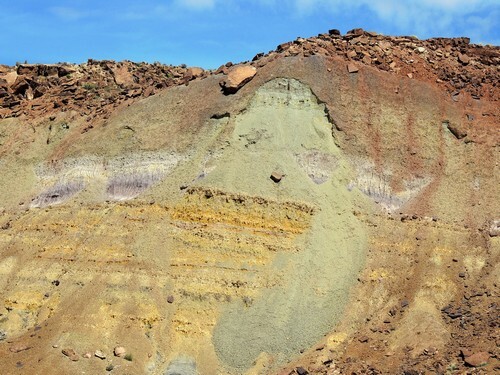 A mineral deposit with a hint of purple seemed unusual. This webpage description ends at the above mentioned intersection. To learn about the section from here to Highway 95 see Piute Pass North 3.0. From Red Canyon to the intersection is 3 - 3.5 hours. Another 1.5 hours over Piute Pass to Highway 95 if you do not dally.